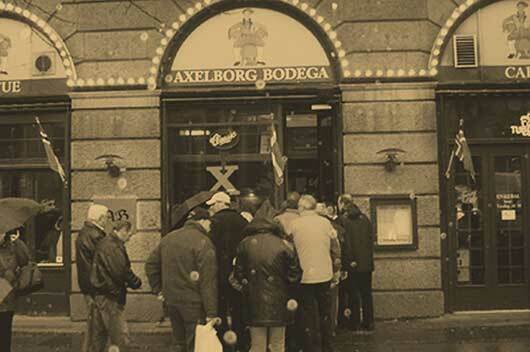 Axelborg Bodega has existed since 1918, two years before the official inauguration of the building. Axelborg Bodega is the building’s oldest and first tenant. 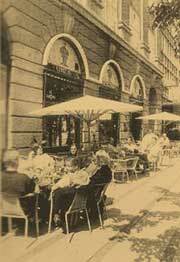 The building itself is named after the founder of Copenhagen, Bishop Absalon, whose Danish name was Axel. Since 1920, Axelborg embossed and embellished Copenhagen with its neoclassical architecture, and especially the famous tower. The builders then was the Danish Cooperative Bank and Workers that after construction was completed, they moved into Axelborg. Throughout the ages, the building include the Danish Radio House that from 1928 to 1941 used the great banking hall to radio broadcasts. Axelborg Bodega is run by the family El Hoseiny, whose roots go back to Egypt. “Our vision with Axelborg Bodega to retain its distinctive and charming culture, and serve homemade Danish food and attract a varied audience that appreciates a relaxed stemning- and on Sundays tones of wonderful jazz music.